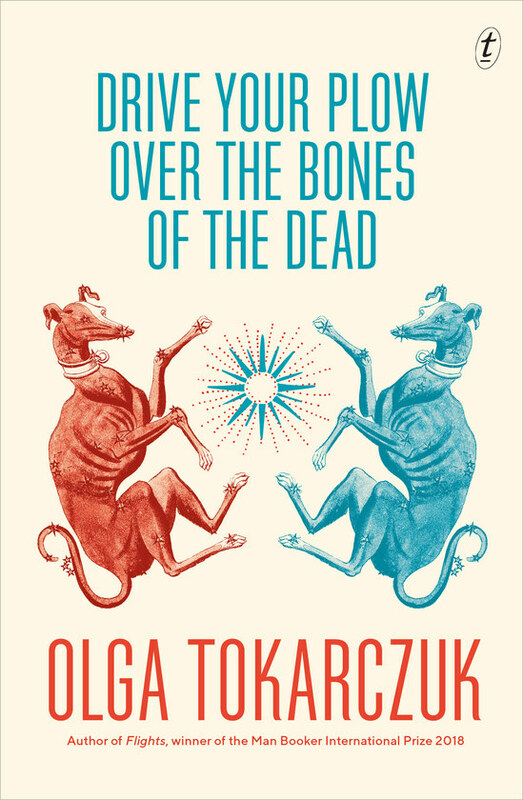 Award winning Polish author Olga Tokarczuk follows up her first novel Flights (which won the Man Booker International Prize in 2018) with something completely different. While that book concerned itself with travel, Drive Your Plow Over the Bones of the Dead is located in one small village in Poland near the border with the Czech Republic. The main character and narrator, an old woman named Mrs Duszejko, seems to have lived in that location her whole life and has a deep connection to the place and its wildlife. When the book opens Duszejko and her neighbour Oddball (she gives everyone nicknames, trusting them more than their real names) discover a third neighbour Bigfoot dead in his cabin. When they arrive there are deer outside his cabin and when they find that Bigfoot died by choking on a deer bone Duszejko comes up with a theory that he was killed by the deer as revenge for his hunting of them. Duszejko herself has been waging a campaign against the local hunters (a group which involves all of the high and mighty in the town) so this fits with her own view of the practice. Bigfoot is only the first death and soon the body count starts to rise. Being a small town, Duszejko is connected in some way to all of the victims. She begins to investigate and write letters to the police, pushing her theory of an animal-led revolt against hunting. She is obsessed with astrology and backs up her animal revenge theory with astrological explanations. At the same time, together with another friend, Dizzy, she is translating the poems and writings of William Blake (this is where the title comes from). Drive Your Bones is in some senses satirical, with exaggerated characters and situations, but it is extremely black satire. It can also be read as a crime story, a mystery thriller with a bunch of bizarre characters at the centre of it. And in some ways this book fits into the unreliable narrator category but when you have character as out there as Duszejko, who bases her decisions and theories on astrological charts, unreliability goes with the territory. But underlying all any of the genre trappings is an anger here focussing on man’s relationship with nature. Tokarszuk took quotes verbatim to craft a speech by the town priest, who himself is a hunter, in praise of hunting. Neither she nor Duszesjko have any sympathy for the victims who are, on top of their violent hobby, venal and corrupt. So while there is a mystery here, Toraszuk sets up a tension in the reader who may not want to see it solved.